Portable unit for Photodynamic LED light Therapy KN-7000C. Interchangeable treatment heads for a wide range of treatments. 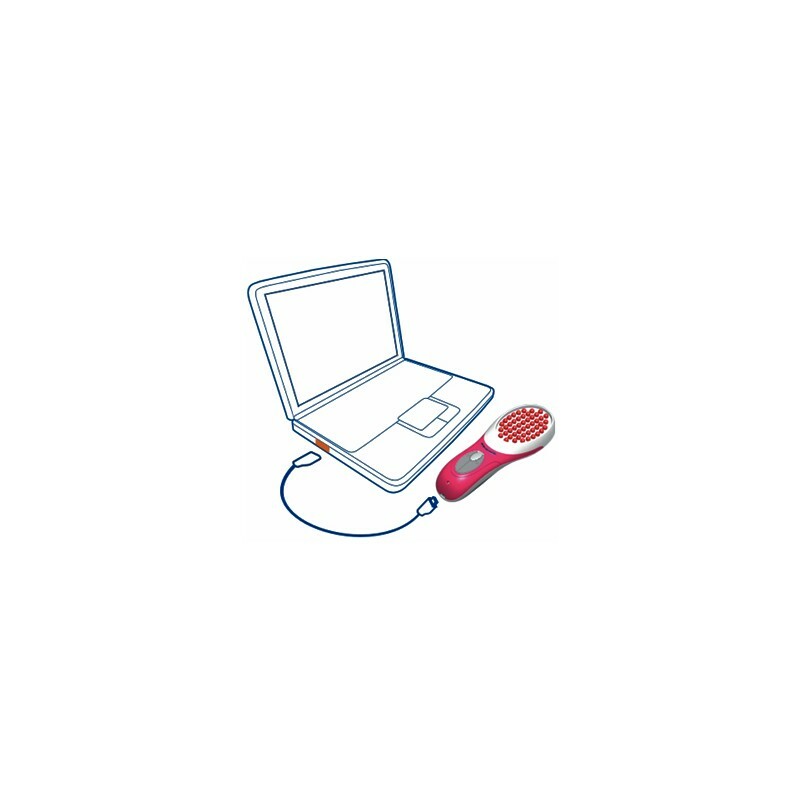 Ideal for Dermatological studies, Beauty salons and home therapy use. Portable unit for Photodynamic LED light Therapy KN-7000C. 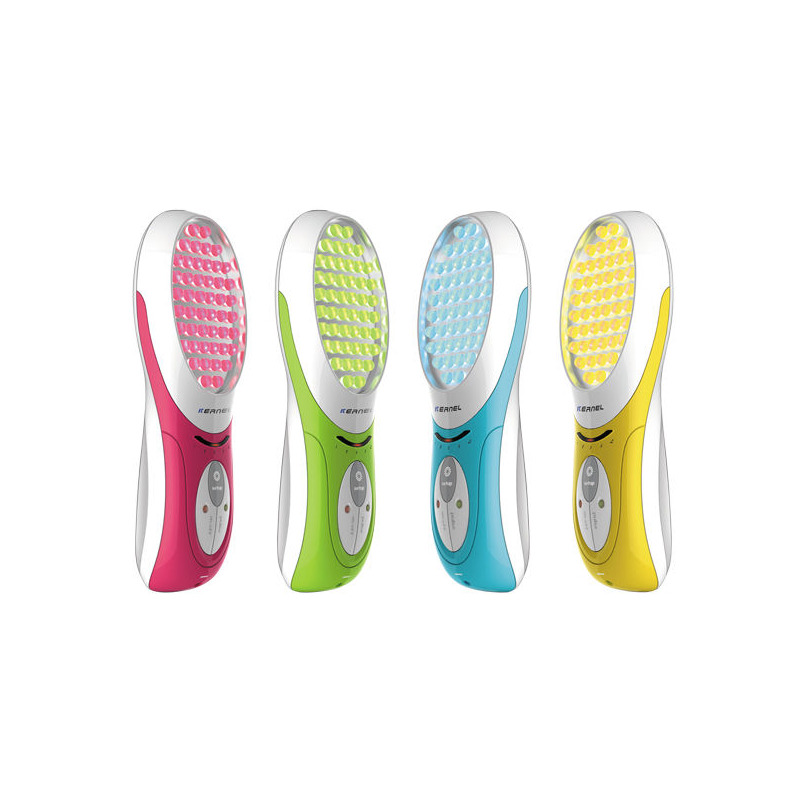 Several interchangeable treatment heads with 48 powerful LEDs are provided to ensure a wide range of beauty treatments and dermatological, covering an area of 26cm ^ 2. • Red 633nm: Red light for its anti-inflammatory action may promote wound healing. In combination with blue light can find a therapeutic indication for inflamed acne. may also be useful in some signs of photo-aging such as wrinkles and enlarged pores. 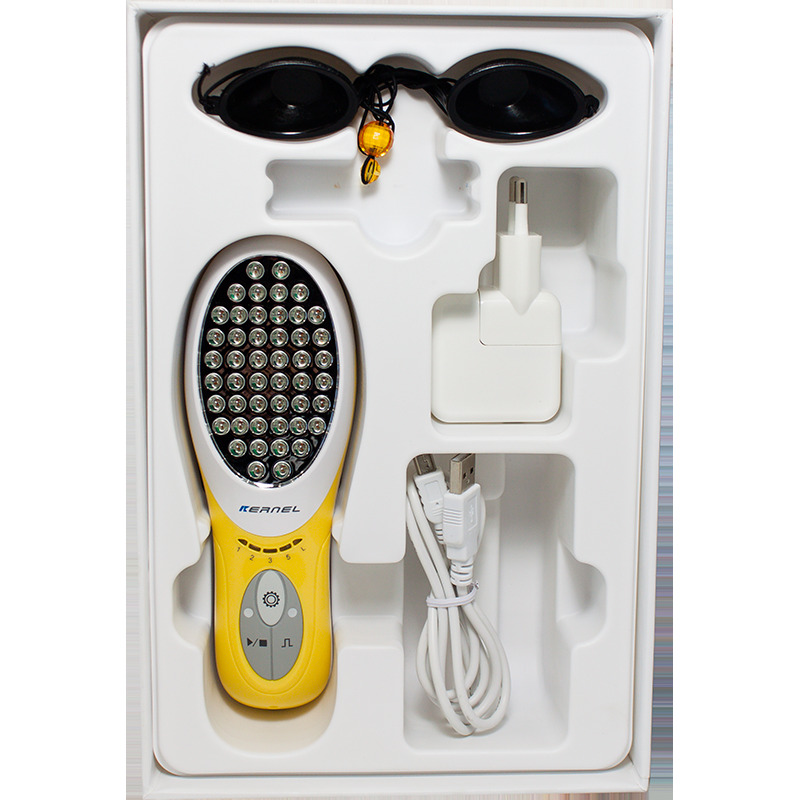 • Yellow 590nm: The yellow light penetrates the skin in a less significant manner than the red and infrared light. Without any thermal effect photomodulation with this wavelength can mitigate some signs of photoaging in clearer phototypes. Has an anti-inflammatory effect in the acute phlogosis. • Blue 417nm: For the high absorption of porphyrins blue light is used in inflamed acne. In fact the propionilbacterium acnes that is considered among the leaders of the pathology is rich of such metabolite. The absorption conditions the formation of free radicals, especially oxygen singlet whose bactericidal action is essential for the control of the bacterium. • Infrared 850nm: The infrared light is used in photo-aging and moderate skin laxity in darker skin types. 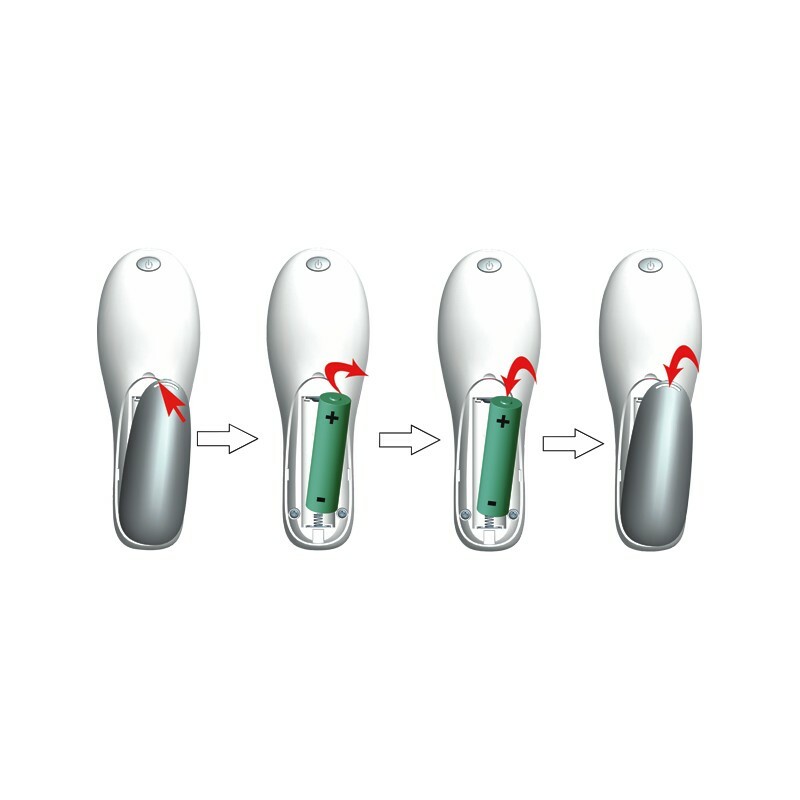 The anti-infiammatory action promotes pain relief , promotes wound healing and accelerates post operative recovery . 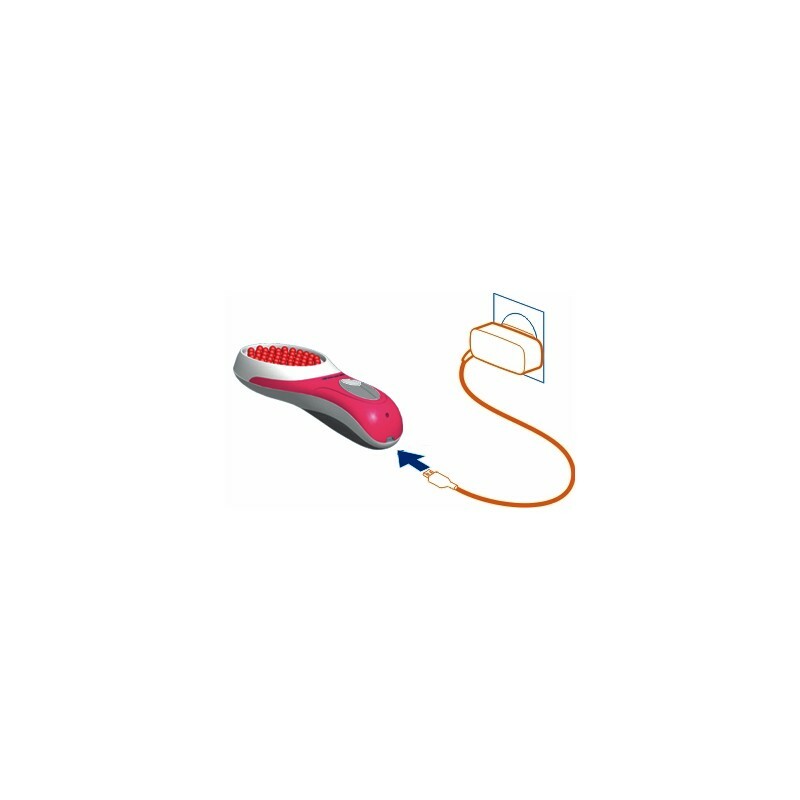 Treatment times are settable by the user from 1 to 5 minutes, or no time limit; you can also choose pulse type between continuous and 5Hz pulsed. 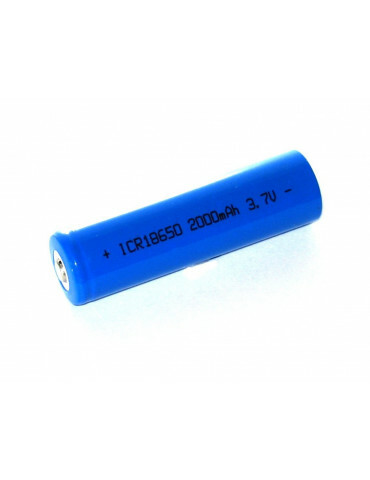 KN-7000C can also operate plugged in and can be recharged with the supplied charger and either in a standard USB port of any computer. Each LED Phototherapy unit works with lithium ion rechargeable batteries and comes with one treatment heads of the desired wavelength.